Put on your cozy — yet hideous — holiday sweater. Sip some spiked hot chocolate, snack on some tasty holiday treats, make fun crafts, play your favorite games with new friends, more. Tickets cover food, drinks, activities, and a raffle entry to win an Apple TV. 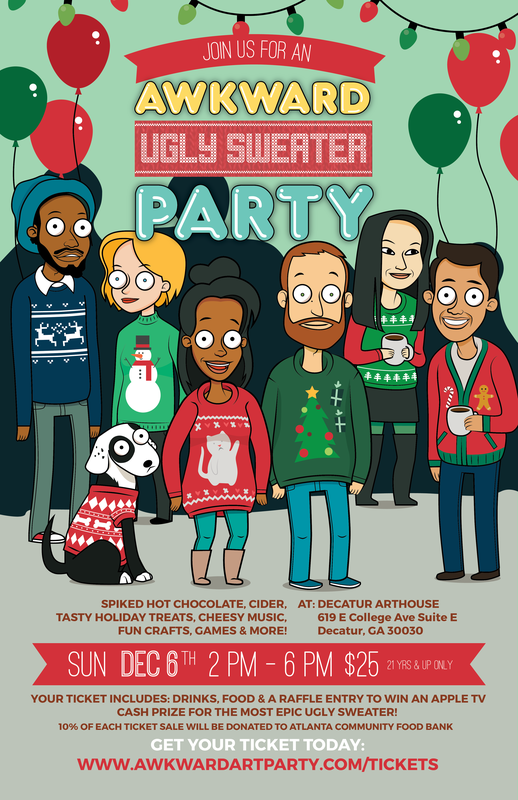 There is also a cash prize for the most epic ugly sweater. Ten percent of all ticket sales will be donated to Atlanta Community Food Bank.